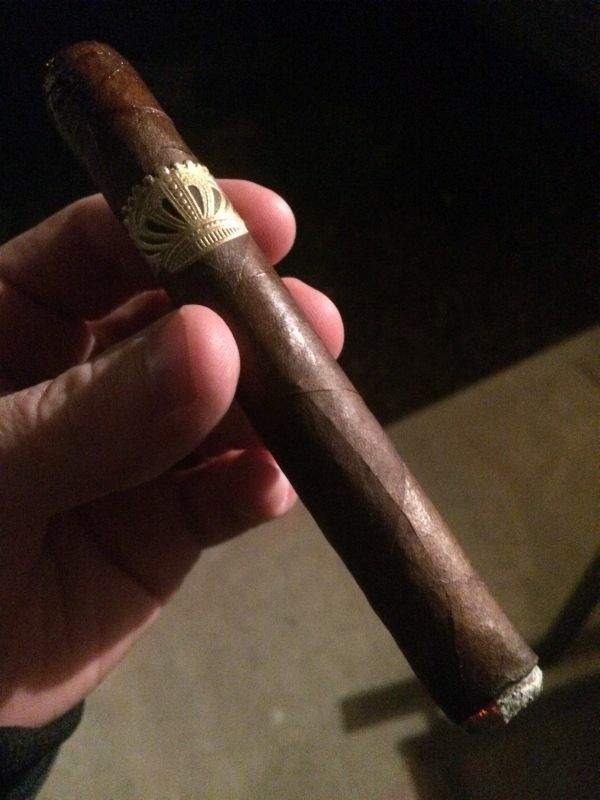 The Sobremesa is the brainchild of brainy child Steve Saka. Ok, so he might not be a child, but he is brainy, and he is the big brain behind lines such as Liga Privada and Herrera Esteli. The name: “Sobremesa” is that time right after you’ve finished eating a big meal with friends, when you’re contemplating the social-acceptedness of undoing your belt to allow your gut to expand freely, when you entertain the idea of an aperitif (and by “an” aperitif you mean “a bottle” of aperitif), when you kind of want a nap but also want to party till dawn. Sobremesa is the best time in the world. 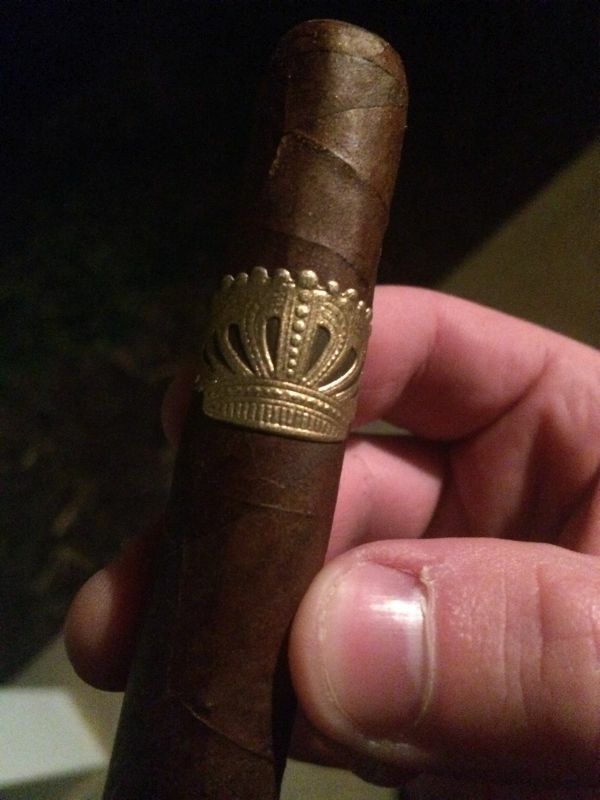 And I’m assuming that’s how this cigar got its namesake: it represents the perfect experience, a balance between relaxation, contentedness, and excitement. 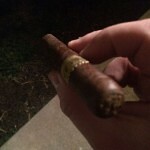 And hell, if Steve Saka released a cigar wrapped in an old Goodyear tire, I’d probably smoke it. 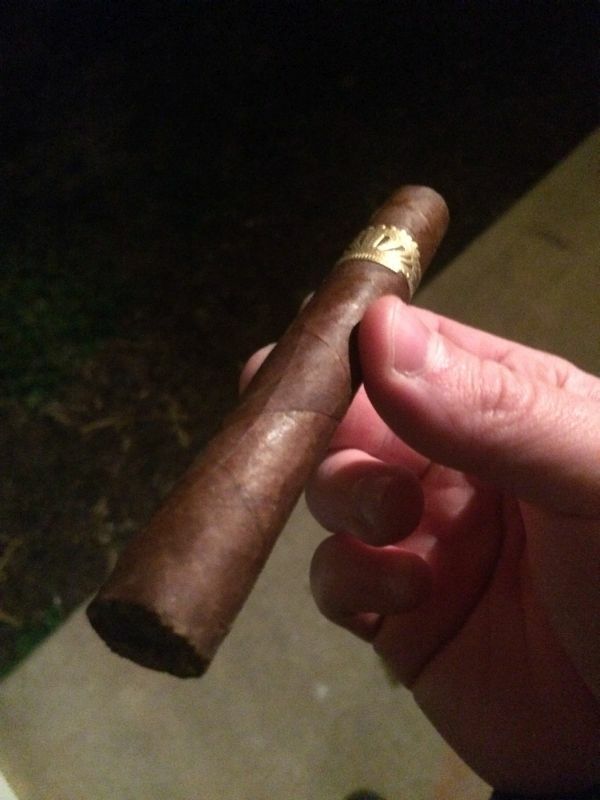 I’m fairly certain Mr. Saka connected with me telepathically when deciding on this blend, because there is not one smidgen of one leaf in the Sobremesa that makes me nervous or worried about the enjoyment factor. Ecuadorian rosado: spice, spice, spice, and maybe some earth and pepper and everything that is good about tobacco. Matacapan Mexican: earth and spice. Nicaraguan: self-explanatory spice and everything nice. AND PA BROADLEAF FROM LANCASTER COUNTY, PA: YESSIR, THE BEST LEAF KNOWN TO MANKIND, BAR-NONE. FIGHT ME, BRO. Coffee, earth, spice, AND IT WAS GROWN RIGHT DOWN THE ROAD FROM ME. GET AT ME, BRO. Appearance: Smooth, matte wrapper with no imperfections. Easy cut. Rather tough draw, but not a deal-breaker by any means. Sweet on the cold draw. 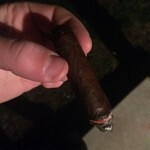 The first puff off of the light is spicy and rich with cocoa. Not even a mild cocoa, mind you. 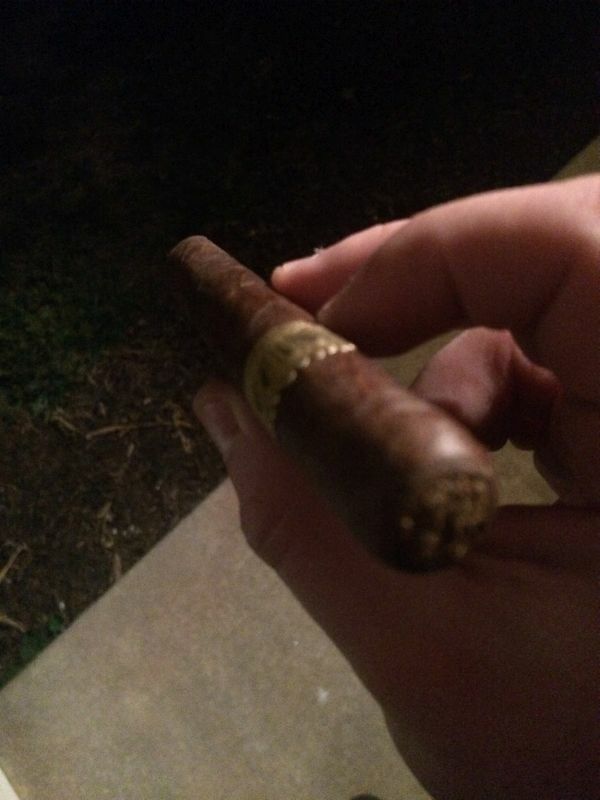 If I didn’t know better, I’d swear this cigar was infused. 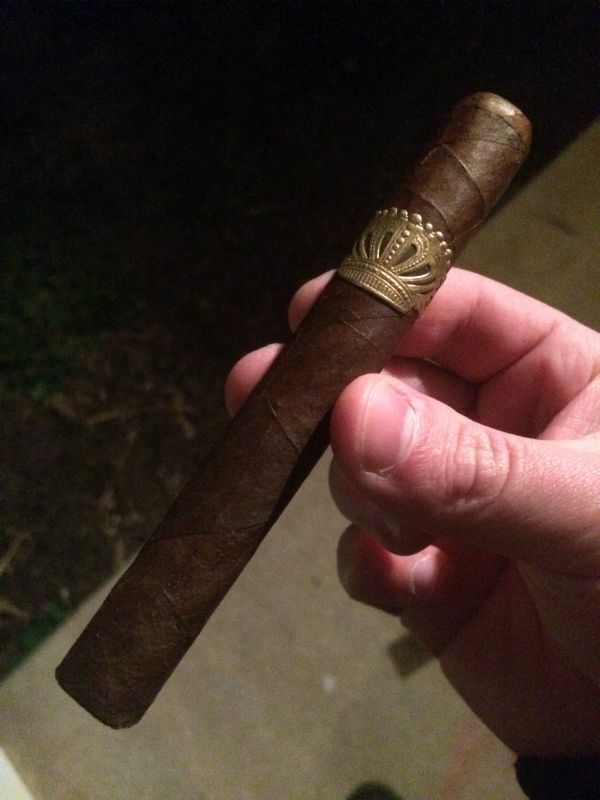 I’m making a mental note to eat a chocolate bar and sip on some hot cocoa the next time I smoke a Sobremesa, because I’ll be damned if it doesn’t taste like melted chocolate all over my tongue. Some persistent light pepper notes mingle in with the chocolate, but overwhelmingly the cocoa takes the forefront. Bringing up the rear, a-la Private Pyle (isn’t Vincent D’Onofrio the coolest badass on the planet? ), is some cinnamon. Not as pronounced as say, buttered white bread with cinnamon, but more like a whiff of potpourri when you’re peeing at your grandmother’s house. Because we all know that little old ladies love potpourri. And cats. And putting plastic on otherwise comfortable couches. The burn is getting a bit wonkerific at this point, but I’m not worried. 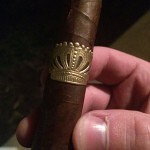 If this cigar burned entirely down one side, leaving the other side pristine like a baby’s bottom, I’d still smoke it. 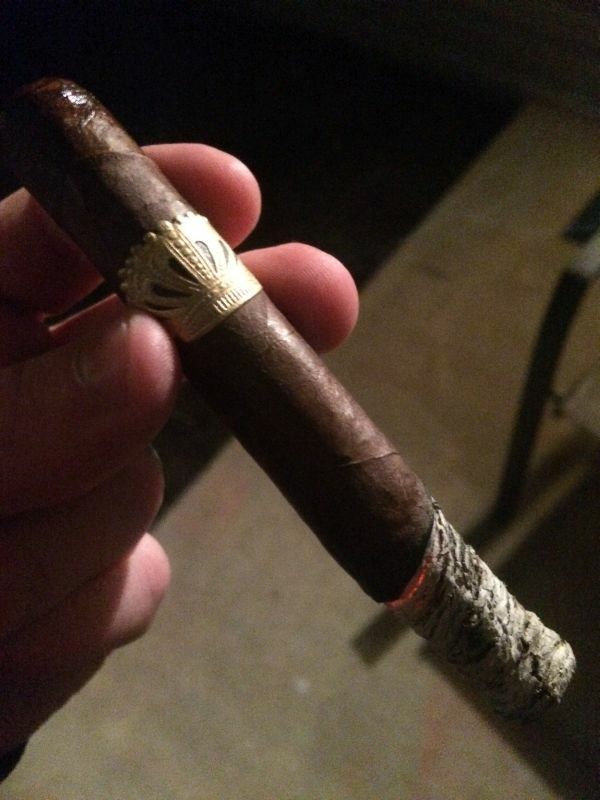 I wouldn’t smoke a baby’s bottom (not into cannibalism… mostly), but I’d smoke the Sobremesa like Bobby Brown scrounging for the last dregs in his pipe. Imagery! The profile has remained fairly constant, with the rich, smooth cocoa being the main note. Really, quite delicious and persistent. 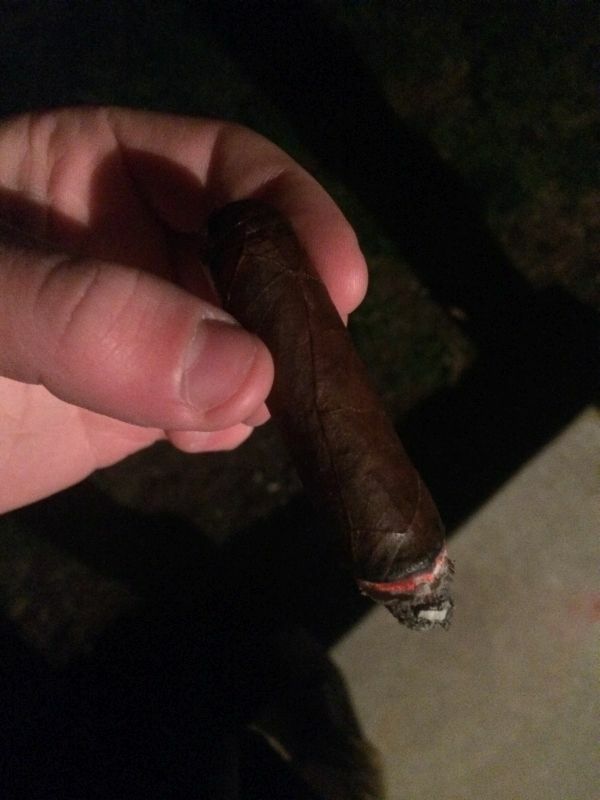 At this point, the burn has heated up to intense temperatures even in the cold weather–I’m limited to a puff of the Sobremesa about once every two to three minutes. My normal speed is somewhere between Speedy Gonzalez and a meth-head running away from pink Christina Aguilera monsters and/or the police, so this pace has me a bit bummed. 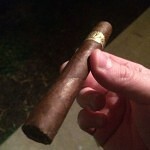 But, the Sobremesa’s saving grace is its flawless and constant profile. Cocoa? Check. Pepper? Every so often. Cinnamon? Yessir. Too hot. Nubbed. Sad face. Ever wanted to smoke a chocolate bar? If you answered no, you’re a damn commie and need to get out now. I too am on the Sobremesa train! Choo Choo! 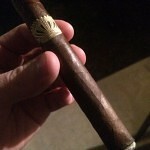 Fantastic smoke…I bought a 5 pack of these coronas and after smoking just one I ordered a 5 pack of 3 other sizes! Great review! Thank you! I picked up one of each size–going to have to order more for sure.